Discussion in 'Terrains, Levels, Maps' started by BeamDrifter, Mar 18, 2019. 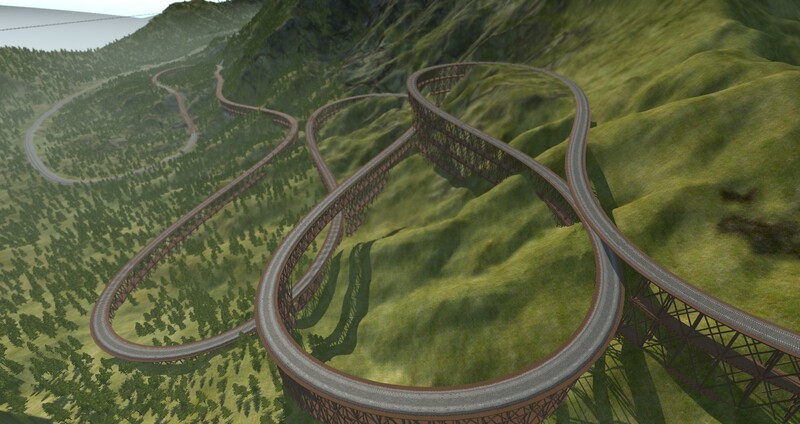 The Train Racing Mountain is a (unrealistic) 16km² map that has a big mountain and train tracks going around it. It's made for testing the FS30-2. 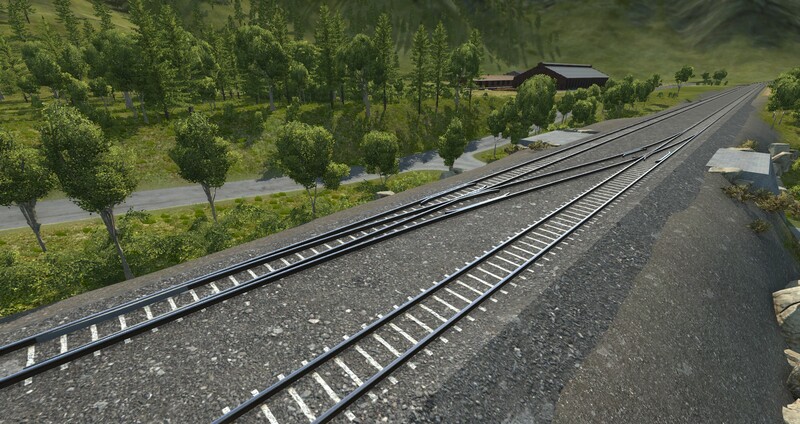 The tracks are meant for train racing and multi-track drifting (multi-track drifting is the reason why I added these working railroad switches). These don't always work though and derailments happen. Also one of the moving jbeam parts resets its rotation every time you load the map so you need to rotate it manually in the world editor. 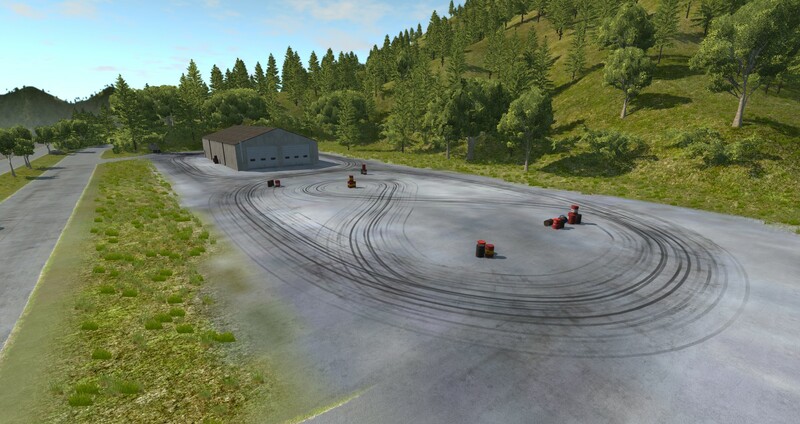 It's a problem in BeamNG and I can do pretty much nothing to fix it. 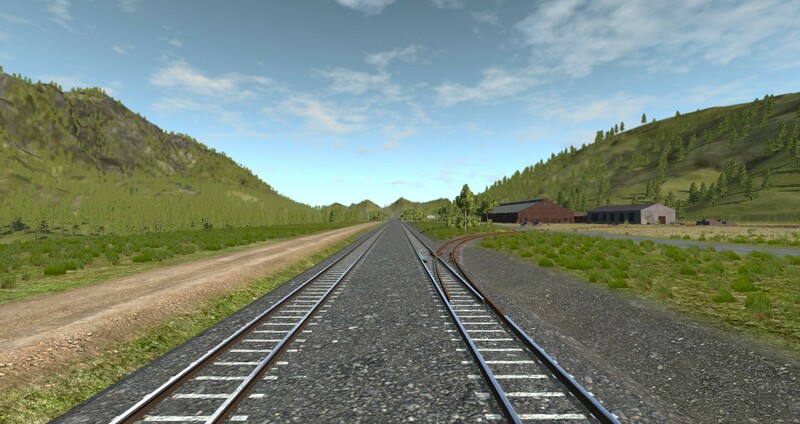 If you downloaded the FS30-2 you should have an Onion Pacific already spawned on the tracks. 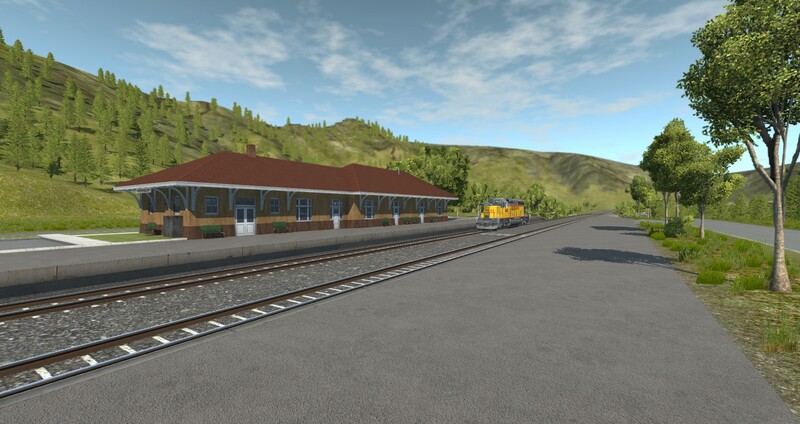 It is made mainly for trains but it still has some roads and other stuff where you can drive a car. 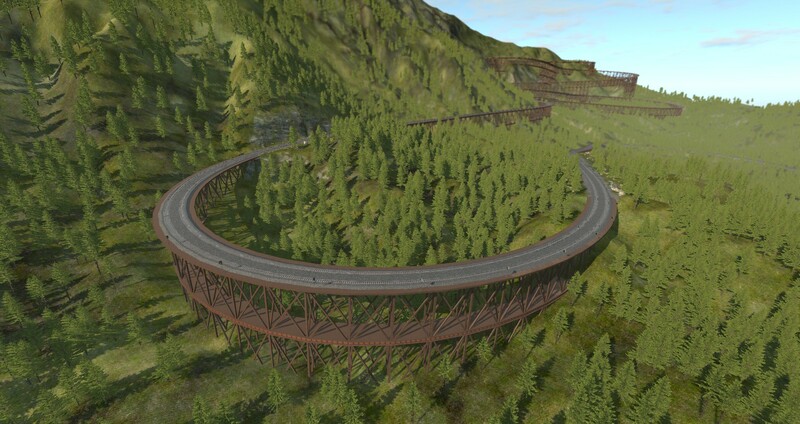 But here is the download - don't download if you are scared of very unfinished BeamNG maps ! That looks really good so far i hope it will get finished! I spit out my coffee at my screen of amazement when I saw those screenshots. WOW. 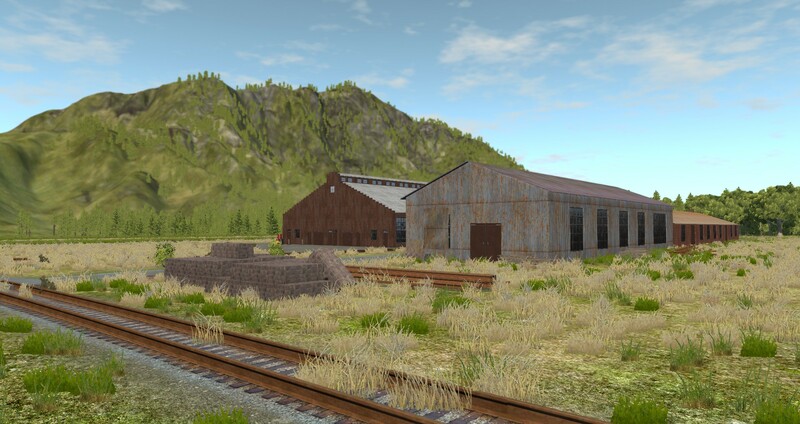 For It To Be A W.I.P It's Suprisingly Perfect For Derailment's And Shoving Other Train's Off The Rail's Around Corner's! This is a good map, actually it`s not unrealistic. It reminds me of a railway in Norway that is called Flåmsbanen, it is one of the most popular attractions in Norway and is an engineering feat. How do you operate the switches? How doo you download this map/mod? 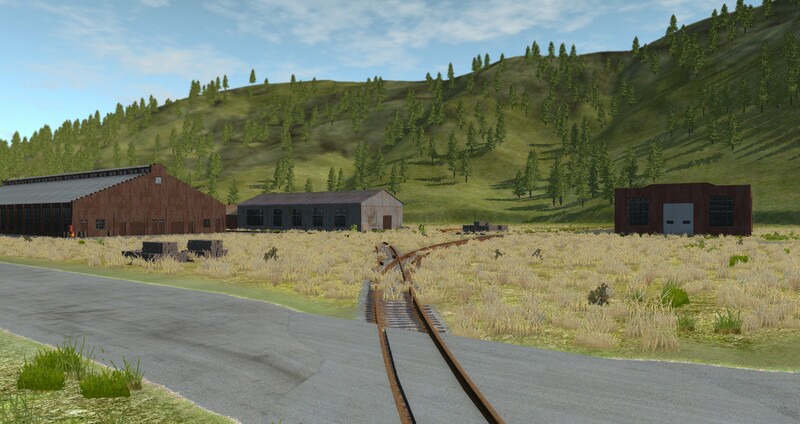 BeamNG doesn't have many train track levels and this one is by far the best IMO, even if it's still WIP (mostly on the other side of the mountain range). 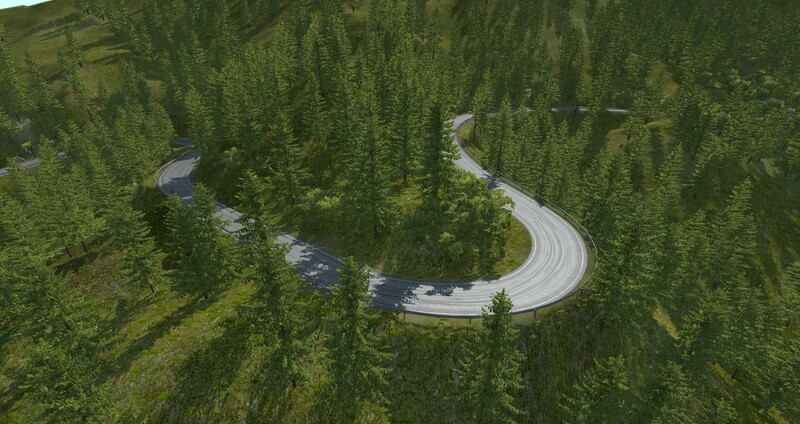 I also like that there are some roads to drive on. Would like to see more including more railroad crossings. I didn't care for trains before I saw this map and your locomotive but now you got me interested! Looking forward to your updates.